Julia Morgan: Who became one of the world's great architects against seemingly impossible odds. But as magnificent as the Hearst Castle is, it is but one of more than 700 remarkable buildings Julia created and she created those elaborate structures before the age of computers, designing and engineering them all by hand. Yet Julia's own story is as remarkable as the buildings she designed. Julia was born in San Francisco in 1872, a time when women couldn't vote, had few legal rights, were excluded from most higher educational institutions and prohibited from most professions, including in California, the practice of architecture. Yet Julia was determined to pursue her dreams. In 1894, Julia graduated from the University of California, Berkeley with an engineering degree, the only woman in her class. A professor of hers saw her extraordinary talent and encouraged her to enroll at one of the finest architectural schools in the world, Ecole nationale superieure des Beaux-Arts in Paris. But Ecole didn't enroll women and rejected her application. However under pressure from a union of French women, in 1897 the school finally allowed women to enroll and Julia was one of the first of those women. In 1902, Julia earned a certificate in architecture; the first woman to receive such an award from Ecole. Returning to California, Julia worked for prominent San Francisco architect John Galen Howard, the architect overseeing the University of California Master (Building) Plan. She was the primary designer of several of the UC Berkeley buildings. But in a sign of the times, Howard told a colleague that Julia was "an excellent draftsman whom I have to pay almost nothing, as it is a woman." Despite being underpaid, Julia saved her money and in 1904 became California's first licensed female architect, soon designing many of the buildings at Mills College. But Julia's big breakthrough came from tragedy. The 1906 San Francisco earthquake devastated the city. As the city rebuilt, Julia was inundated with work, and in the process built her outstanding reputation. 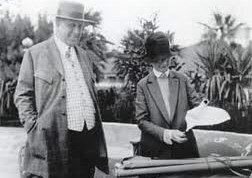 Because of that reputation, Julia was introduced to W.R. by his mother and in 1919 she began designing what would become the world famous Hearst Castle, where at his invitation, Hollywood celebrities frequented, often arriving by private train. But W.R. passed away in 1951 and in 1957 the Hearst Corp. donated the Hearst Castle to the state of California, which declared it a state historical landmark. 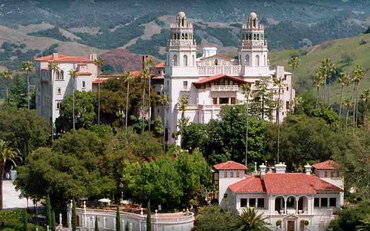 Hearst Castle has since become a national landmark as well and is so beautiful that despite its relative inaccessibility from major population centers it attracts visitors from all over the world. Success Tip of the Week:	Julia never let society's irrational rules prohibit her from attaining her dreams and neither should you.